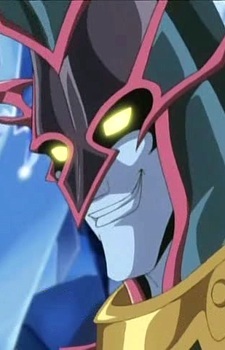 Chaos Sorcerer and the other Duelists of Death were first seen as spectators during The Supreme King's Duel with Jim Crocodile Cook. During Axel Brodie's infiltration of The Supreme King's lair alongside Zane Truesdale and Aster Phoenix, they told Chaos Sorcerer that they were delivering Skull Knight's report to The Supreme King. Chaos Sorcerer pretended to let them pass, but revealed that all of Skull Knight's reports are to go through him first before making it to the King, so the infiltration was exposed. As a result, Zane stayed behind and Dueled and defeated Chaos Sorcerer while Aster and Axel made their way further into the castle.